Η ταινία τραβήχτηκε το 1937 στην πολιτεία Ιλλινόις των ΗΠΑ και συγκεκριμένα στο Harvey. Στο φιλμ έχουν καταγραφεί σκηνές από την ζωή και εργασία της οικογένειας της συμπατριώτισσας μας Ελένης Κωνσταντίνου Λαμπράκου (Μπουλουχέρη) που πήγε στις ΗΠΑ ως μετανάστρια το 1906. Το φίλμ αποτελεί ευγενική προσφορά του Παναγιώτη Μυλωνά (Peter Melonas), εγγονού της Ελένης. Όλο το κείμενο της συγκινητικής επιστολής του Παναγιώτη (Peter) Μυλωνά. My name is Peter C. Melonas (Panaghiotis Konstantinos Melonas). My paternal Grandmother, Eleni, was born in Apidhia and emigrated to the United States. She was born Eleni Konstantinou Lambrakou (Boulokheris). 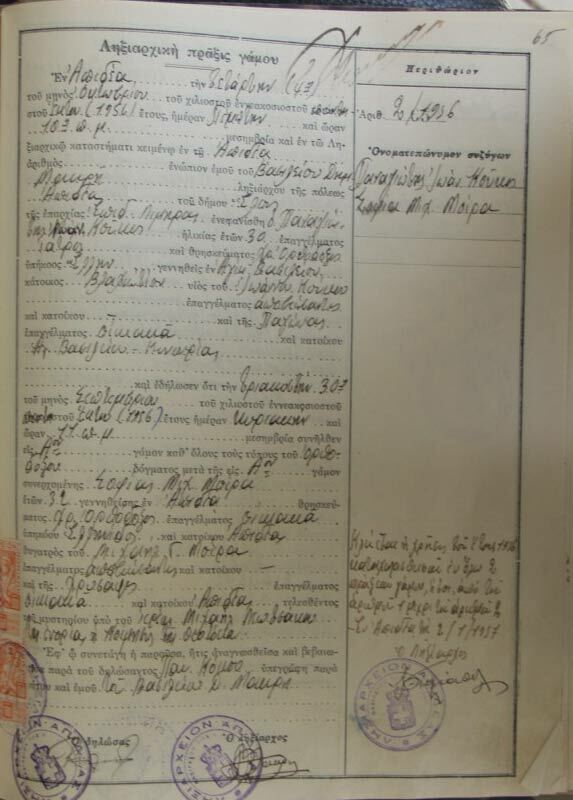 On August 4, 1910, she married my Grandfather, Panaghiotis Giorgios Melonas from Dragoge in Tryfilia, who had also emigrated to America. They were married in Chicago at the Greek consulate. They had two sons, George born in 1911 in Chicago and Konstantinos born 1912 in Chicago. I am descended from Konstantinos. Around 1951, my Grandmother brought her niece, Ioulia Filokhtiti Lambrakou to live with her in Harvey, Illinois. Filokhtiti and my Grandmother were siblings. My Dad married my Mom in June 1940 at St Spyridon Greek Orthodox church in Chicago. My Mom was born in Chicago as Meryanthy Panaghiotou Thanasoula. Her father was from Mironia (Bartzeli) and her Mom from Filiatra in Messenia. I was born in April 1941 in Chicago. I have two sisters and a brother. Ioulia married Peter Karnezis and has children. Grandmother Eleni passed away in the early 1970s in Harvey, Illinois. Grandfather Melonas had been killed in an automobile accident earlier in June 1950. My Dad passed in 1995 and Mom in 2002. They had been married 55 years! I live in New York now and have relatives in Brooklyn: John and Fay Lambrakos. John’s brother lives in Apidhia. John and Fay have two children: Anthony who is married and is a dentist; Eleni who just got married and is an attorney. Both children married other Greek-Americans and both in the Orthodox church. When my Mom and Dad last visted Greece in the 1970s I think, they introduced his cousin to her cousin and those two married. 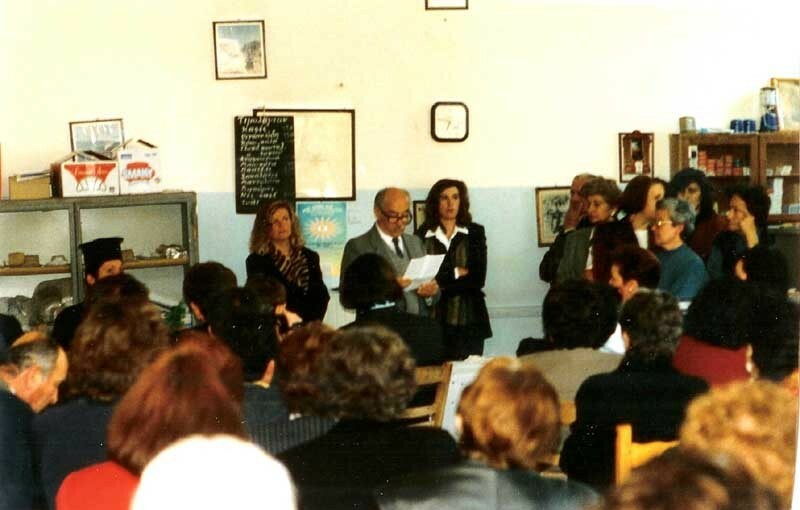 The man was Panaghiotis Gregorios Thanasoulas; the woman, Maria (Panaghiota) Lambrakou. Maria’s sister, Anastasia still lives in Apidhia. She had recently lost her husband. And the two sisters had lost their Mom last year in Apidhia. 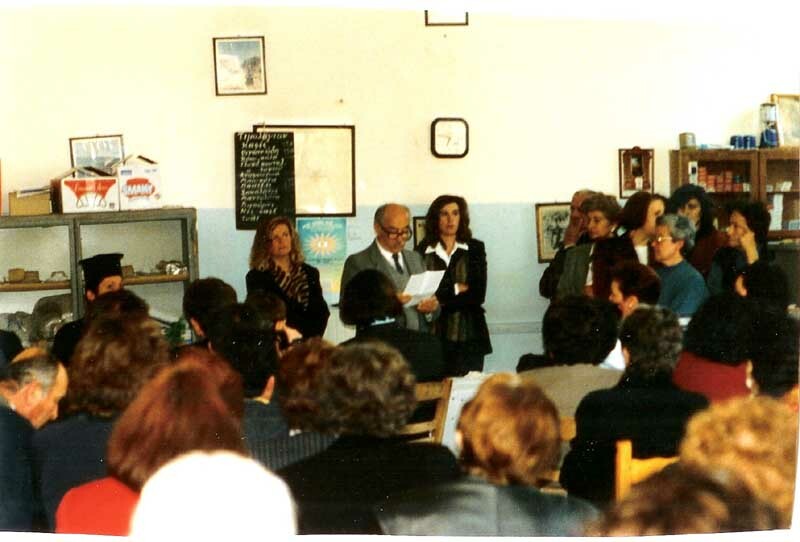 Maria and Panaghiotia live in Papaghou in Athens. They have two children: Nick and Demetra. I have posted an early film of my Grandmother Eleni and Pappou Melonas on Youtube which all of you who have computers can view. It is in black and white and was taken in 1937 in Harvey, Illinois. If you like, I can give you the site. Thank you for posting an Apidhia (Apidia) site! I am so pleased to watch your vids. Of course you must know that when the Venetians controlled the Morea, Apidhia was renamed Pandova, which has been changed back to Apidhia thank God. And you may want to know that I hold both the American and Greek passports! I am so proud to be of Greek heritage that I applied for my Greek passport and was given same by the Consulate here in New York.